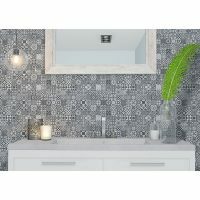 The Lisbon Mosaic is a unique indoor wall tile that is suitable for use on bathroom walls. Available in an attractive design consisting of natural stone and stainless-steel blocks, this feature mosaic will transform any bathroom into a modern space. The Lisbon Mosaic feature wall tile measures 298x298mm and are sold per piece. 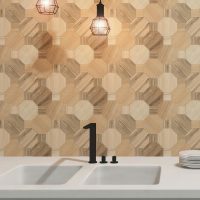 Lisbon Mosaic sets the benchmark for bathroom wall tiles. With its gorgeous looks and neutral colours, it will perfectly pair with modern bathroom accessories and fittings. The natural look will also complement a range of décor schemes perfectly. 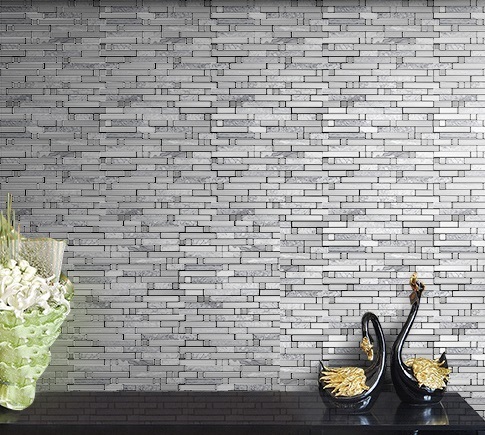 Enjoy the best in quality with the Lisbon Mosaic feature wall tile. It exhibits superior quality artistry, features an innovative design and is built to last. 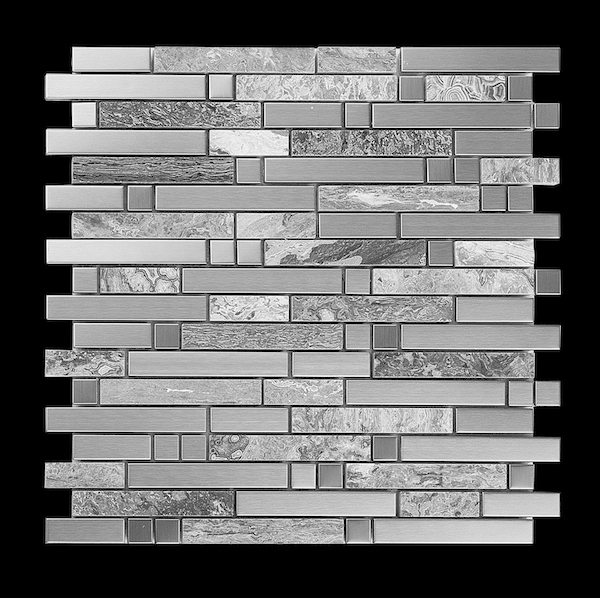 Trust that you won’t go wrong in choosing this feature tile for your bathroom. 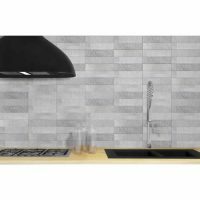 For an attractive and natural looking feature wall tile in Perth, choose the Lisbon Mosaic from Ross’s Discount Home Centre. Shop from our online store today to purchase this feature tile at the lowest price and take advantage of our free Perth Metro delivery!